Our data recovery services includes recovering your old and confidential data from old hard drives and external media and storing it in a permanent storage location that is HIPAA compliant. We have recovered corporate tax records, patient records and other critical information for our clients. Hard drives are subject to failure or data loss, and can all be consolidated into a more permanent storage that will insure the long term accessibility to your data. We recover data from laptop hard drives and can even replace the hard drive as needed. Fast and On-time Recovery Services – You can opt for our fast and on-time delivery data recovery services. 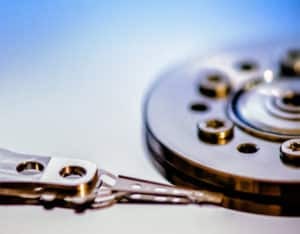 Multiple Recovery Techniques – We recover data with multiple techniques to ensure not a single important file is missed. With our disk-imaging procedure, you can recover every readable bit from the surface. Hardware Repair – We also provide fault-proof hardware repair services. Our remote data recovery services include finding the exact reason and fixing the hardware issues. Process Driven Approach – We apply a step-by-step process driven approach to ensure there are no issues at all. Our proactive approach will help you recover the data and store it on a hard drive successfully. Error Detection and Correction – We detect errors and correct them beforehand to ensure there are no issues at all. So if you have a hard drive that is giving errors or no longer mounts we can work on that device to restore the data and get you back on the road. Call us today at 972-807-0728 if you want to learn more about our quick data recovery services!